That is all it Costs! NOTE: If you are already a Registered AML-AM Associate simply login to your Management Console from your Profile Website to purchase at discount. The demographic of the site is directed firmly to the over 50 community, the so called Baby Boomers, and is used as a reference place or resource area which displays quality information that interests Australians and our overseas guests. The site has reference material in regard to health, food, shopping, hobbies, travel and much more. The Over 50s are a very powerful and experienced [sophisticated] audience with loads of disposable income and who now also have plenty of time at their disposal to do the things they have wanted to do for a long time! The potential of this market is staggering and the explosion of interest can be readily seen by the number of seniors magazines and new businesses driving the market online. The 50 plus people in our society spend a quarter of their income on discretionary purchases. The About Over 50 Website provides pages on topics that are firmly directed at the visitors interests, travel, health, social, hobbies and many other positive and beneficial lifestyle topics of interest, that keep our visitors coming back and not putting us in the recycling bin. 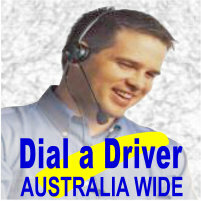 AboutOver50.com.au is performing extremely well under its own effort by weight of the valuable content on its pages. Search Engines recognise websites with content rich pages and rank them higher than graphically exciting websites which is why many flashy websites do not perform well unless hundreds of dollars are spent monthly on so-called SEO management. Search Engines list Web Pages, not whole websites, therefore each page on a website needs content that is interesting and informative. AboutOver50.com.au performs well in this area and thus lists high in many relevant searches online. 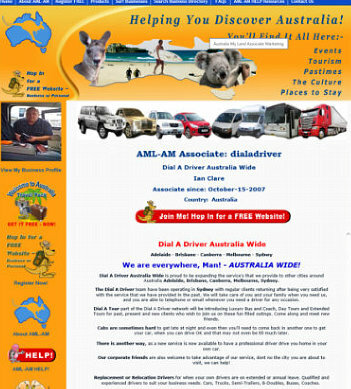 The site is also advertised via the Australia My Land Business Initiative with links displayed on the pages of other driving websites within the AML community, inluding AussieSnow.com.au, RailwayPortrait.com.au, AboutEvents.com.au and many others including client websites. 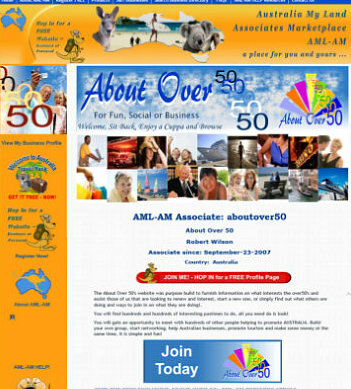 Add to this Social Media websites and blogs in Facebook, Google Plus, YouTube and Twitter, among others including our very own AML-AM, which all assist in driving the Aboutover50 website forward in the search engine rankings and which assists in attracting thousands of visitors every month, making the site a very popular medium with advertisers targeting the Over 50 demographic. As more material and general information is added to the pages on the site and new advertising businesses come on board with the idea of drawing customers from the sites promotion; the site attracts much more attention and more visitors. Every advertiser that registers a listing or advertisement on the About Over 50 website attracts and creates a new interest not only for the reader, but for the search engines as each advertisement creates a quality live link which in turn drives each site harder. This driving effect benefits each advertisers website as the advertised link contains a live hot link directly to the advertisers website and business. A good Search Engine Listing is not just about attracting visitors to your website but just as importantly attracting other listings of pages for more search phrases. Multiple Higher Listings in turn assist is giving a website a higher website ranking thus giving it more credence when other websites are seen to be related to it by content relevant live links. 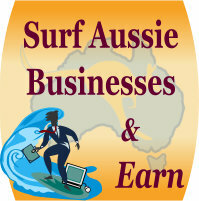 Current advertisers on AboutOver50.com.au and AustraliaMyLand.com.au are seeing increased benefit from their advertising because of the flow-on affect of the high listings of these websites. 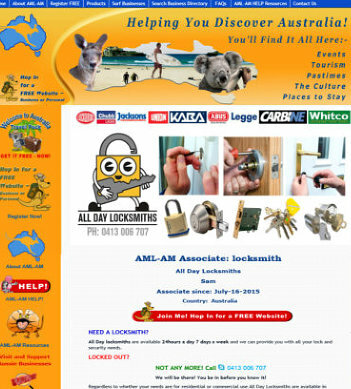 NOTE: As an example AustraliaMyLand.com.au has constantly been listed at positions 1 to 3 for the search phrase 'aussie pastimes' for over 10 years, having achieved that listing within 6 weeks of the relevant page being online in early 2016. Having a website online is just the start of an Online Marketing campaign! A website must be driven - ADVERTISED - we have a saying that you must "Advertise Your Advertising"
Our team has proved it has the understanding and experience, not only in good website development but also Search Engine Optimisation (SEO) and the results of our own client's websites demonstrate that our use of the internet IS WORKING! AML-AM has been designed by our team of SEO and Website experts to assist Australian Businesses use the modern technologies with business tools that are easy and inexpensive to implement - we even give some away! 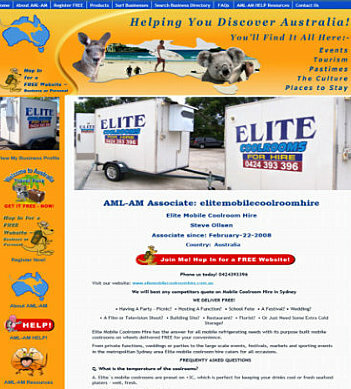 Thus the range of Business Website Drivers in the advertising and marketing promotions available within the Australia My Land packages including all its partner websites, like the About Over 50 site, gives EVERY Aussie Business the opportunity to be seen by thousands of visitors every year and your busness will grow with our business. Most important to your business is the putting of your name and website in front of Search Engines with important content related backlinks between your secular website and the multiple pages and advertisements on About Over 50 and AML-AM. Website Advertising on AML Partner Website Pages PLUS AML-AM Social Marketing is something each Business can use as important online Business Drivers according to their advertising budget. The About Over 50 website promotes a variety of topics and hundreds of different articles guaranteeing your business and the products you sell to be seen and found. Advertisers are also offered a FREE opportunty to submit a relevant article about their topic of interest which may if accepted be placed on the website with their being credited with the article. Subsequent articles may also be submitted by the advertiser at a small cost. Many newspapers and magazines are needing to look for ways to generate new interests in their publications. In most cases circulation of the printed copy is DOWN and FALLING. Printed media can only offer longer term advertising at a HIGHER cost to its advertisers and it has long been said that printed media is "today's news and tomorrows fish'n'chips". Businesses have already discovered they must have an internet presence. Many Australian businesses now have websites, however businesses are also discovering that they have competition with millions of other like businesses that are all looking to be on page one in the search engines. Not only that, buyers have a much larger base to select and make purchases from and they can do that from just about anywhere on earth? Our online publication provides an ideal medium with a business model that is directly targeted to those Australians that are 50 plus. This demographic are cashed up, can move quickly and they are seeking information from businesses that can give them what they want quickly without fuss and without spending hours of searching online. They want to go to ONE place, a place that is directly directed to them. 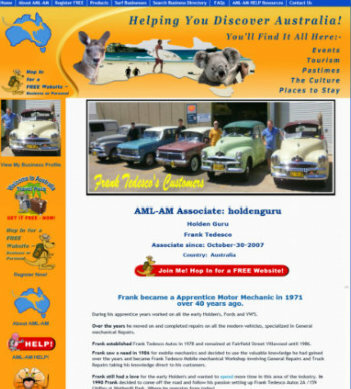 Your advertisement will be seen by thousands of Australians and overseas visitors coming to the About Over 50 website daily. WHY YOUR BUSINESS SHOULD BE WORKING WITH US! Your Website could be right IN FRONT OF THEM when they are Ready to Buy! 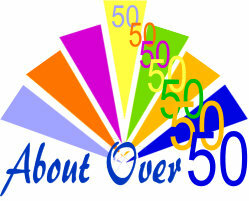  Almost one third of Australians are 50 plus! Q: What benefits are there for my business when advertising in the About Over 50 Guide? The About Over 50 Online Business Advertising platform is designed to ensure that your advertisement and information is on display every minute of the day and night for 365 days - 12 months. It is not only promoted in a place where people will remember how to find it, they will be able to read about your business over and over again and when they are ready to buy you will be there! 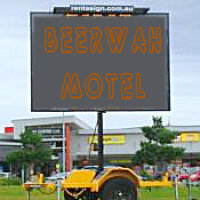 Q: How long will my advertisement be displayed on the About Over 50 Site? Every advertiser is issued with a full 365 days no matter the size of the advertisement selected. Q: We already advertise in newspapers why should we advertise with About Over 50? This is a great question – In answering it we need to understand that the About Over 50 advertising platform in on the internet. Online as they say, your business has the opportunity to be seen over and over every day and night for 365 days. Unlike the printed media which in most cases is over in a matter of days. People dispose of newspapers in the recycling usually once a week. Additionally, the About Over 50 targets a particular demographic of people, the over 50s and they have the opportunity to come back to the site over and over so you can be found and the visitor knows where to find you even if they do not remember your business name. Q: I have looked at the About Over 50 website and can see other advertises on the pages I would like to have an ad on can I get an exclusive page? The simple answer is YES you can, you do this by sponsoring a page that is taking up the Special Feature option. The advertising options ae covered in the Submission of Advertisements section. If should be remembered that The About Over 50 Website is a guide and as such offers the visitor a choice. However the choice offered on each page for advertising space is limited to seven advertisers per page and in just about all cases each advertiser is selling a different product or service. Q: I am impressed with the Over 50 guide however our market is very localised can you help with this? Yes we can! We need to keep in mind the world is getting smaller every day because of the internet and when a business is local that business needs to be promoted to the locals in that area and we can do that. 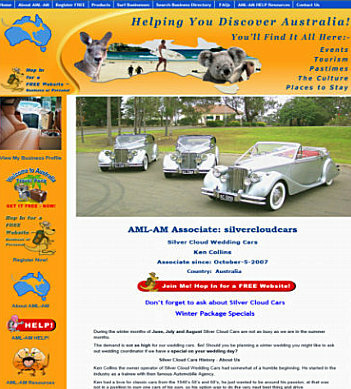 The About Over 50 Website is adverting with in Australia and we can be found by people all over the world. However it is the visitors we are targeting and those visitors come from all walks of life and can be found just about anywhere. Q: About Over 50 has a member’s login can my business be promoted directly those members? Yes! Your business can be placed in front of all the members, however in answering your question we need to advise that in most cases the members will see a business advertisement when they are visiting the pages on the site. Each advertiser needs to have advertisements in place before targeting the members. Targeting member via the data bases can be done by email or placing information in the monthly newsletter. Q: What is the About Over 50 Rewards Circle? 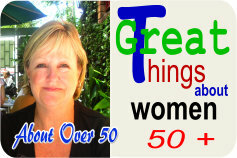 The about Over 50 Website is designed as a guide and our main focus is to the bring together information to our visitor on any topic the Over 50s reader show interest in. The site currently has some 75 pages of information and that will continue to grow. 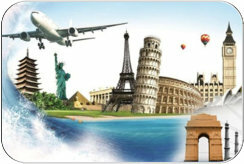 The main researched topics of interest are Lifestyle - Travel and Touring – Health – Social – Services and hobbies and there are many more topics listed on the site. All About Over 50 Advertisers receive the full benefits of the Australia My Land Business Initiative with the promotional power of its online Business Driver Marketing tools. A business new to the internet can have their own FREE self managed Profile Web Page with its own extended address. Easy to promote on business cards or all forms of advertising. This AML-AM Profile Web Page is listed in the AML Business Directory and thus already has a 'very good quality back link' promoting it online! When ready the advertising business may upgrade to take more advantage of the additional AML-AM Business Drivers and expanded Business Profile Page of a Corporaten upgraded Business Associate Businesses can upgrad for a small annual fee. These FREE Web Page Profiles are GREAT for both businesses already online and especially for those who do not yet have a website presence but are wanting to start an online promotion. Advertising Packages can now be purchased within an Associates Management Console (Back Office) simply by logging in and clicking on the Associate Level tab. Start by Registering FREE or Purchase Advertising NOW! Simply follow the button below to register with About Over 50 at AML-AM and we will follow up with a phone call from one of our Sales Staff. NOTE: Once you are already a Registered AML-AM Associate simply login to your Management Console from your Profile Website to purchase at discount.